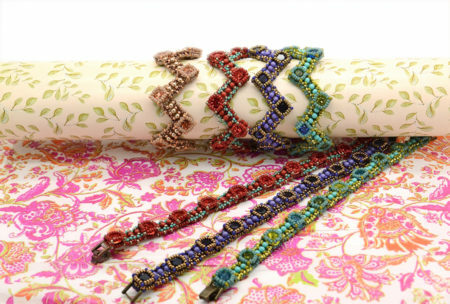 Sparkling with Swarvoski crystals and droplets, October Butterfly is a delicate tracery of beadwork worked in a mix of albion stitch, netting and peyote stitch. 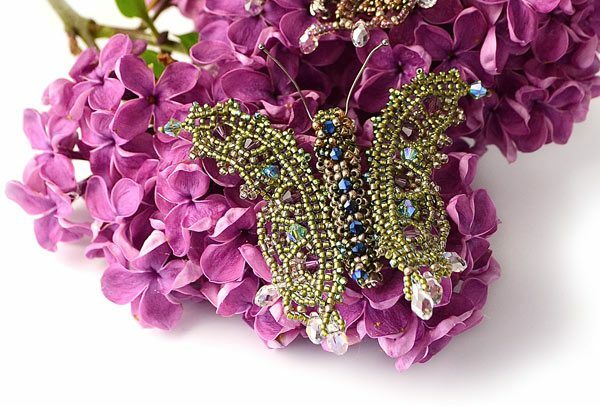 The body of the butterfly is worked around a brooch pin. 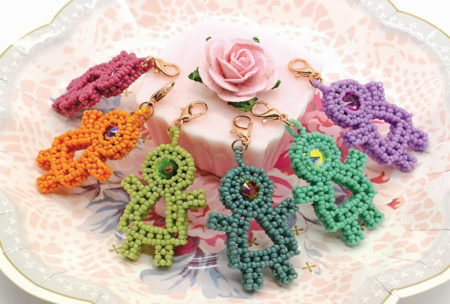 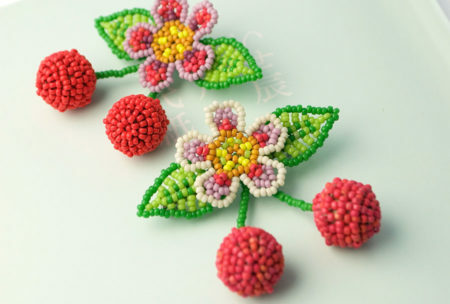 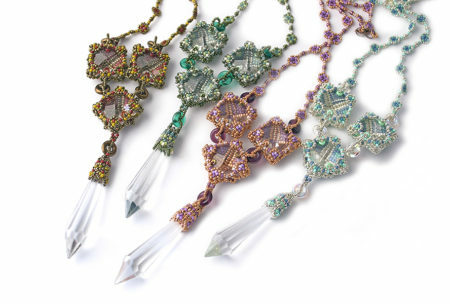 intermediate beaders should also be able to enjoy this project with a little patience.